They don’t mess around in the Czech Republic you know! It’s good to know who you are parked next to isn’t it! I think if I parked alongside this car and read the warning sign I would get back in, drive off and find a different parking space, wouldn’t you. Sadly even after they have paid their debt to society I don’t think I would readily trust an ‘Excon’ so I would remove the temptation. 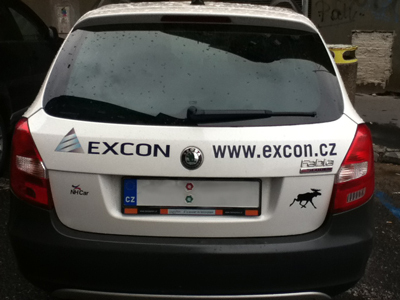 However I think that ‘branding’ their cars is a little over the top. Interesting word ‘branding’ isn’t it. So many companies try so very hard to get their ‘branding’ right and fail, frankly I know a few companies to whom I would be delighted to apply a hot iron to their rear ends, what about you dear cuddly readers?